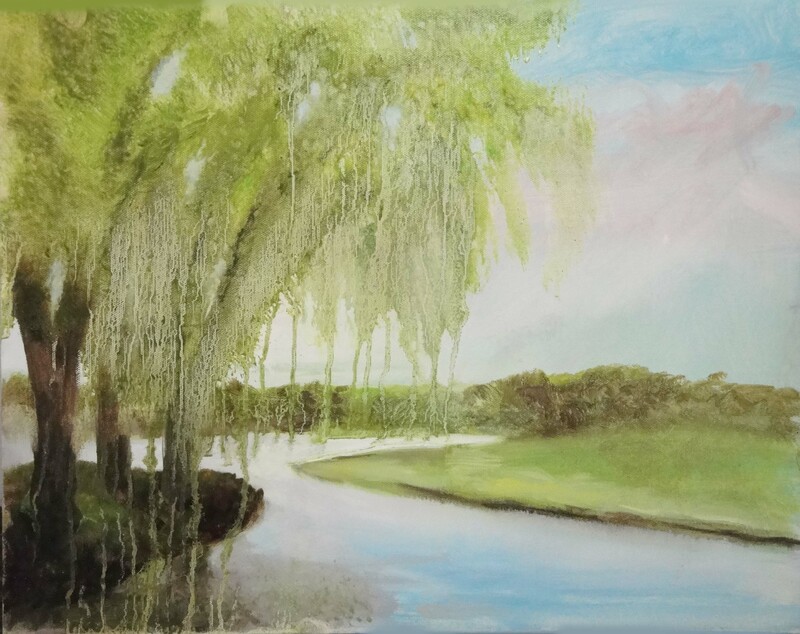 The next project, working from a photo of a willow tree and a lagoon, added the challenge of credibly representing a real landscape while at the same time remaining in the painterly mode that governed the earlier collage inspired painting. In fact, this new project demanded even greater freedom and experimentation. No element in this painting is the result of coloring-in an outlined form. Everything is painted directly and that is what makes it lively. The finger of water in the distant part of the lagoon (3) had to be painted with one sure sweep of the brush. The willow tree would only be willowy if the paint were allowed to drip (2 and 5). The dripping of the paint has its own wildness but at the same time it has to be controlled. This dialog between chaos and control is repeated in the composition itself. The spit of land (1) has a definite shape and dominates the right half of the painting while the willow tree (2) conveys total chaos, not only in its organic form but also in the very way it’s painted and it covers the left side of the painting. The parabola shape of the green meadow (1) is repeated over and over: the sky under the drips of the willow bows (5), the sliver of lagoon (3), and the island on the left (4). This repetition of a motif, though not obvious or mechanical, focuses the attention of the viewer, like a melody in a song or a refrain in poetry. How about putting in some people, maybe under the tree at 4? No need. Birds in the sky? No need. The painting does not need any trickery, no sentimentality, no cliché. 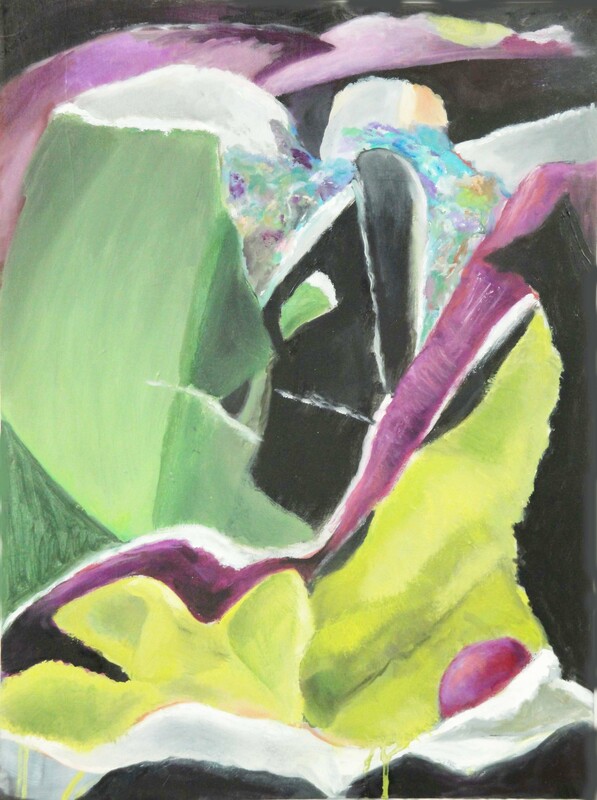 The painting is restrained in its color scheme: green, blue, a sigh of pink in the sky, some sepia and a stroke of deep purple in the shadow at lower left. It’s quite an accomplishment to evoke this delicate mood and at the same time to work with clear formal elements.